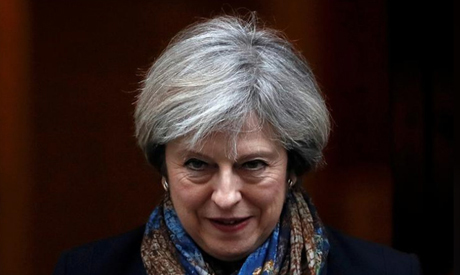 British Prime Minister Theresa May has warned lawmakers that failure to back her plan to leave the European Union would be catastrophic for Britain, in a plea for support two days ahead of a vote in parliament that she is expected to lose. Lawmakers are set to vote on May's Brexit deal on Tuesday, after she shelved plans for a vote in December when it became clear that not enough lawmakers from her own party or others would back the deal she agreed with Brussels. May looks little closer to securing the support she needs, but writing in the Sunday Express she said lawmakers must not let down the people who voted for Brexit. "Doing so would be a catastrophic and unforgivable breach of trust in our democracy," May said. On Friday, her foreign minister Jeremy Hunt said Brexit might not happen at all if May's deal was defeated. Britain, the world's fifth largest economy, is scheduled to quit the European Union on March 29. The Sunday Times reported that rebel lawmakers were planning to wrest control of the legislative agenda away from May next week with a view to suspending or delaying Brexit, citing a senior government source.